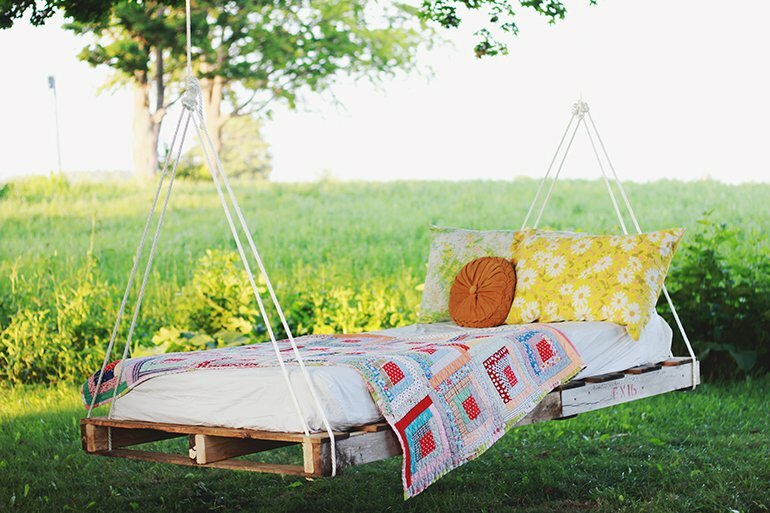 Pallet DIY Swing Bed - U Wanna Know What? 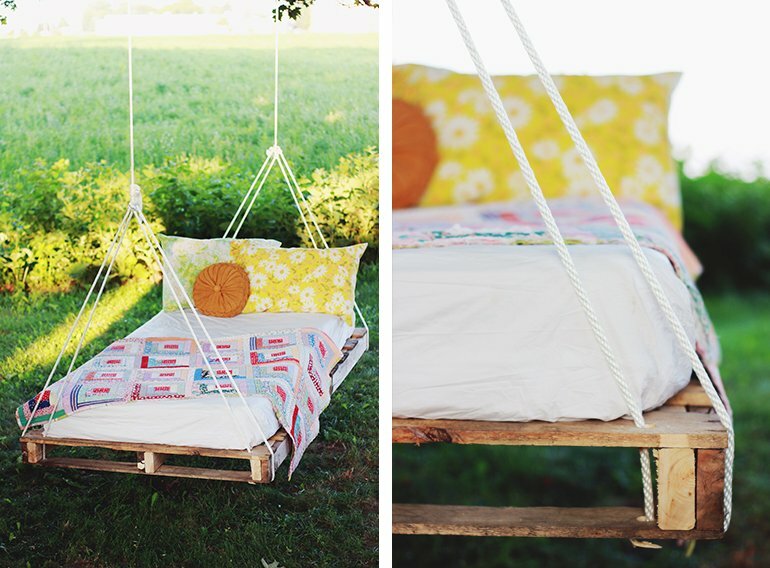 Okay found this blog on how to make a swing bed about two months ago and really should of blogged it then. 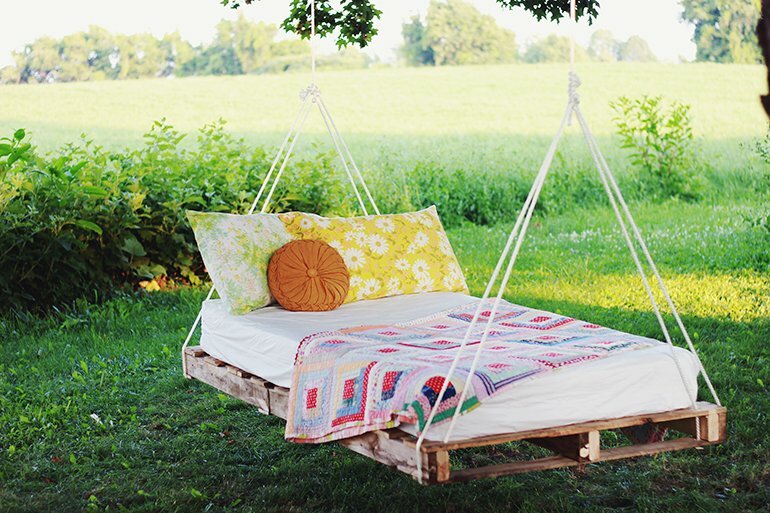 Summer is just about here so would this be awesome out under the shade of a cool tree? Love it! 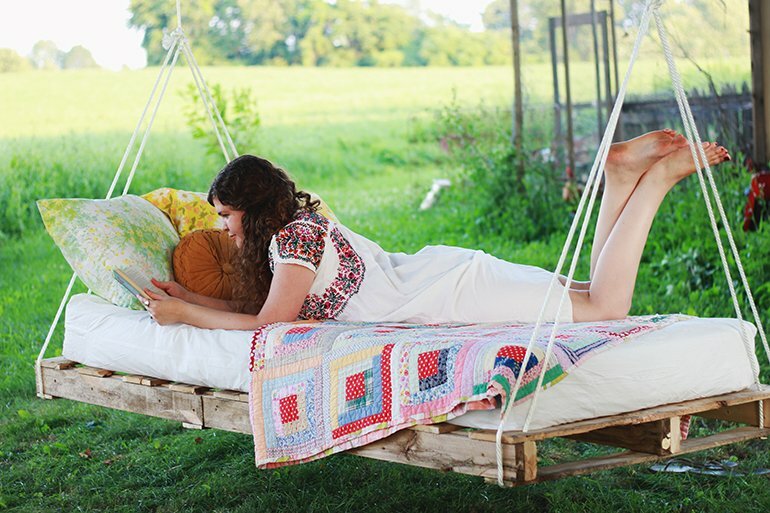 Thank you so much to http://themerrythought.com for this great blog. 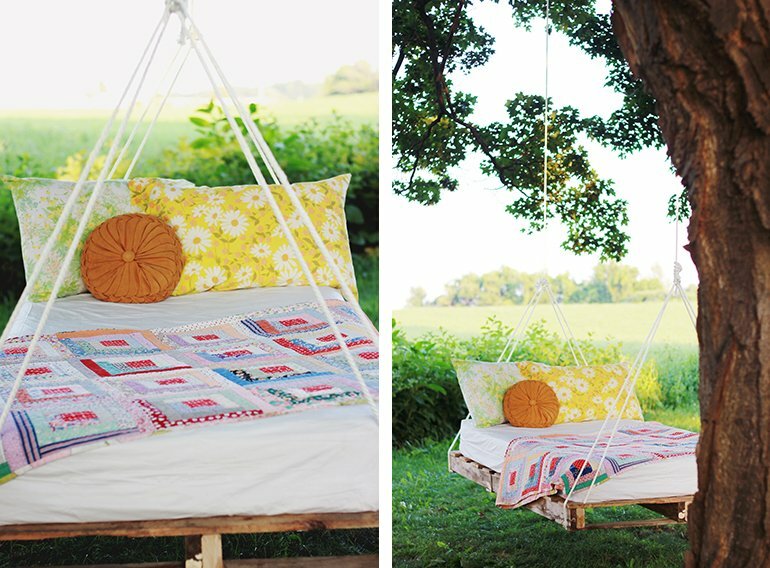 What a great DIY and recycling as well! Slide the 2 x 4?s through the inside of the pallets, one on each inside edge of the pallet and one through the middle. Screw the 2 x 4?s to the sides and middle of the pallet. Cut off 2 x 4?s that are hanging past the length of the pallets.